For any business new or old, the top challenge is to recruit and retain the right talent. Smart companies very well know that their business success relies on their best workers. Hence, it is very important to select a reliable recruiting solutions platform that will give you the right `approach during the talent search and will ease the hiring process as well. Technology has evolved to a great extent. Get linked to a well-designed recruitment portal or make use of social networks and digital profiles that will present a cohesive image of your company focusing on its values and objectives. This will help job seekers to determine the right fit based on their caliber. eresumex is one such rich recruitment solutions platform best for job search, job posting and resume search. 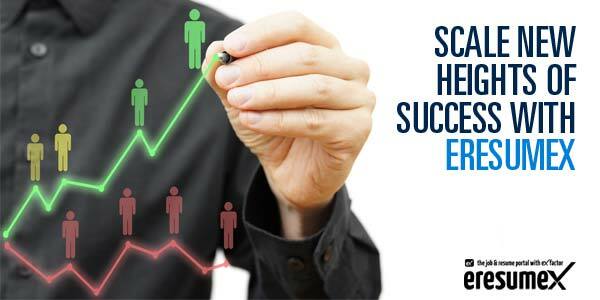 Visit http://www.eresumex.com/ to scale your business or career to new heights of success. Eresumex features upgraded tools and resources that help in collaboration of candidate database and facilitates the recruitment process. The purpose of eresumex is to create a bridge for job seekers and recruiters so that they meet at a common point and accomplish their professional goals without any hassles of investing in time-consuming and expensive recruitment processes. Access to thousands of resumes online without any cost. Get detailed candidate information. Skill sets and expertise are highlighted so that job seekers get the quick response from the right recruiters. Post unlimited jobs Get your resume highlighted free of cost on world’s largest job portal simplyhired.com and indeed.com. EX API a flexible tool can be integrated with the website that eases resume management and job posting. Register free of cost and share your profiles on popular social platforms to get noticed by credible recruiters. Visit http://www.eresumex.com/ to make the best professional choices where finding jobs and recruiting candidates is FREE of cost, hassles, and no lengthy registration steps.